It's that time of year again! Organic Beauty Week. I can't believe it has come around so quickly. Having spent another year fully immersed in all things natural and organic beauty I still believe this is the best way to go for optimum skin health and wellbeing, plus, you have to consider the environment. Everything is mass produced on such large scales now, you have to wonder what kind of damage this is doing to our planet - it's not going to last forever. But I'm pretty sure that's another post right there. This year's Organic Beauty Week is focusing on the Soil Associations' Campaign for Clarity. The Soil Association is calling for an end to 'greenwashing' - where brands that use very little (sometimes less that 1%) actual organic ingredients but still market and fool consumers into thinking they're getting something fully organic, when really they're having the wool pulled over their eyes. There is no standard or rule against this like there is with organic food so it's all very murky and unethical on the brands that do this sort of thing. See the list of ALL the Soil Association approved beauty brands here. Neal's Yard Remedies - I have a huge soft spot for Neal's Yard but don't have many products from them in my stash (in fact I only have the one eyeshadow pictured above at the minute!) as I always forget about them when they're not stocked on a few of my more regular online beauty haunts. They have quite a few stores dotted over the UK though so you're bound to stumble across one at one point or another. My nearest is Manchester & they've just moved to a new larger premises so I can't wait to visit! Green People - Green People are a brand I turn to for much needed basics at a reasonable price; sun cream, shampoo, & mascara! all good things from GP. Their mascara was probably one of the first natural makeup products I used when I used to have huge problems with irritated eyes & conventional makeup. Therapi Honey Skincare - I didn't even realise Therapi were certified by the Soil Association until I saw their name on the list I mentioned above. 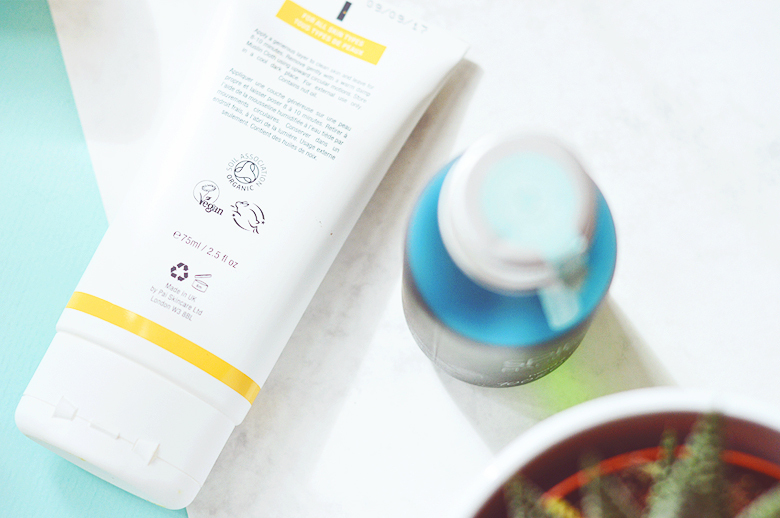 I love their Lemon Myrtle Toner & currently have the Orange Blossom Gel Cleanser living in my shower for easy cleansing. 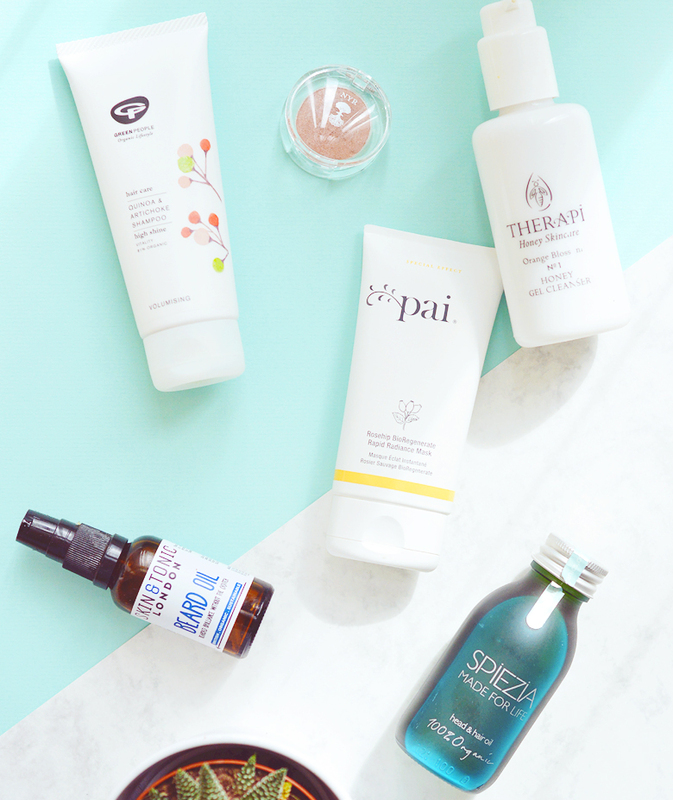 Pai Skincare - Pai are one of the few brands that have effortlessly slotted themselves into everyones beauty cabinets, regardless of natural beauty preferences. Everyone from models to beauty editors love Pai, and I do too! Their moisturisers are some of the best around and their rosehip oil is easily a cult classic. Skin & Tonic London - Still a relatively new brand on the block Skin & Tonic is the only brand in this list that I haven't actually tried (obv that beard oil isn't mine!!) but I did buy the beard oil for my boyfriend which he really likes. Even if I do have to remind him to use it, because his routine consists of shampoo and showergel. That's it. Skin & Tonic have also just launched three new products onto Content; a new beauty oil, cleanser and nourishing coconut milk mask. Speizia - Handmade in Cornwall I love the simplicity (and colourful glass bottles and jars) of this 100% organic brand. I only have the hair oil at the moment but it's a real treat that I adore and my hair always tranforms from dull and lifeless into glossy and soft as silk. I'm going to be purchasing the dreamy sounding floral toner one day soon when I eventually run out of my current toner stash! Do you have any favourite organic brands?